ecourse for hand stitching. elearning course. Learn how to hand quilt making Japanese Folded Patchwork Quilting with our design tutorial. 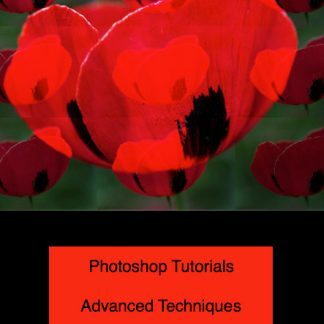 Full instructions are included for you to learn this fascinating traditional technique. This is an exciting hand stitching process that makes quilts or projects using a folded technique. 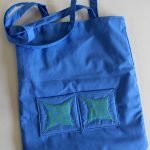 Discover how to use this technique in many creative ways including wall quilts and bags. The tutorial considers all aspects of design. Ideal introduction to the fundamentals of hand quilting through Japanese Folded Patchwork. 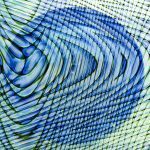 Once you have learned the technique, you can apply it to your own designs. Japanese Folded Patchwork is a technique that is portable and fun. 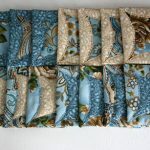 Karen Platt is an experienced and fully qualified teacher and a hands on textile artist and quilter. She creates affordable courses, where people learn a skill. 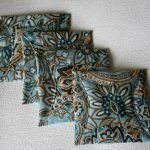 She has been developing new ideas with Japanese Folded Patchwork in preparation for a book. 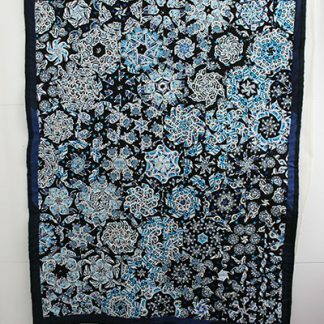 She designs and writes quilting patterns and also dyes her own fabrics. She is inspired by art, architecture, textiles, travel and gardening. She is well-known for her use of colour and texture. She leads courses in art, textiles, quilting and knitting. She is also well-known for her gardening books on colour. 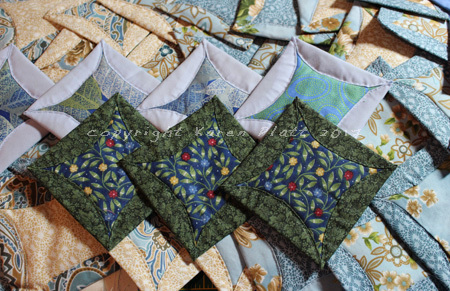 Karen has written many ecourses on patchwork and quilting as well as design and textiles. She has 40 years experience. This is a manual download. Please allow 24 hours for your download to be manually delivered to your email. Payment must be received in advance. No refunds once payment is taken. You might also be interested in our other elearning quilting courses, including the similar folded technique Cathedral windows, which has many possibilities.